Last night, a friend and I attended “An Evening with FX Composers” sponsored by The Society of Composers and Lyricists at The Linwood Dunn Theater in Los Angeles where True Blood’s Nathan Barr was one of three composers featured at the event. The event was set up to first, provide individual sessions with each composer where the host asked them questions and then clips from their shows were shown. After the individual session, all three were questioned together by the host. 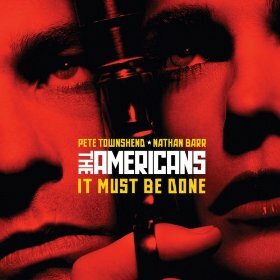 The April 30 episode of “The Americans” featured a collaboration between Barr and Pete Townshend, “It Must Be Done,” the first song the Who guitarist has ever written for television. Barr discussed the track, getting back into film and composing on cello. Working with a music legend can be a daunting task. When that legend is The Who guitarist Pete Townshend, it can be downright intimidating. For composer Nathan Barr, neither was the case. Following the interviews, the questions were opened up to the audience. I asked Nathan what it was like transitioning between the very different TV shows and I was surprised to hear him reply that it’s not that different. He said that True Blood and The Americans scores are really very similar using strings, etc., but certainly the melody and tone are completely different. 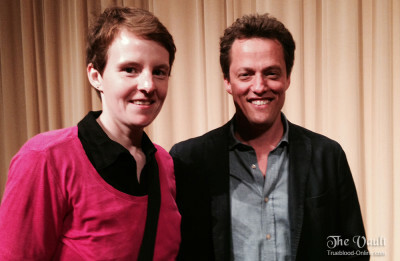 Also, in the audience was Lisabeth Scott, a long time fellow collaborator providing her voice to many of his projects, specifically on True Blood. An example is the gorgeous contemporary folk tune, “Take Me Home,” which features her haunting vocals, along with Nathan’s rich cello and guitar work. 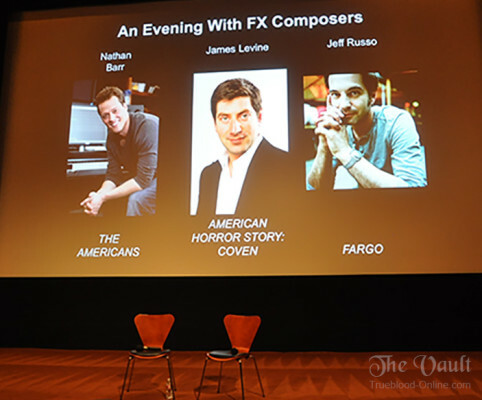 James Levine has also written for two completely different TV shows, Glee and American Horror Story. He is a pianist who is known for playing gospel piano in churches which he exclaimed was odd for someone of Jewish heritage. Jeff Russo started out as a rock guitarist and is a founding member, lead guitarist and co-songwriter of two-time GRAMMY® nominated, multi-platinum selling rock band, TONIC. Jeff managed to learn his new composing trade by observation. His sound track for the new TV show “Fargo” is very understated, and as he says, the silences seem to give the music more impact. Note: Some quotes above regarding Nathan’s collaboration with Pete Townsend were taken from an interview Nathan did with The Wall Street Journal. I am a great fan of the Americans and “Bill’s Entrance” has been my ringtone for several years now. Thanks for your review of the evening, Lynn.